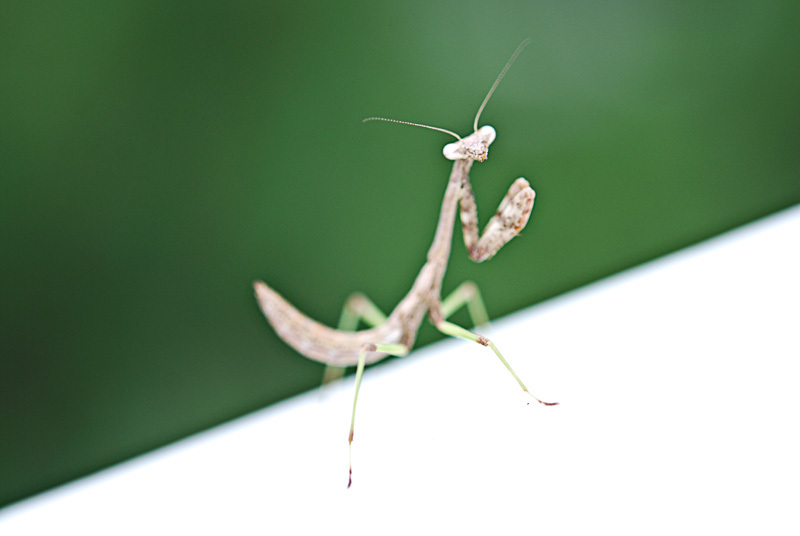 This Praying Mantis was on our porch railing a couple of days ago. ►I mentioned that I enjoy taking dining room or kitchen table photographs. Here are some links for vintage dining room pictures: I'd love to have a collection of these on my wall! I have a few and am on the look out for more. ►I think my grand daughter would be so cute in these crocheted shoes! And, am I too old to wear slippers with bows? I remember having a pair of these granny square slippers when I was little. I think my sister may have made them for me. I think I interrupted his prayer time. Jill, I always love your posts. The crochet patterns are adorable, (think I'm going to have to get me a couple or three or five). Love the idea with the dining room pictures, (wonder how many family pictures I can find) and the mixed media video was really interesting. Thanks for sharing. Love the post. I think you can wear bows..... I just don't like crochet on my feet! ha! Love that Praying Mantis!!! 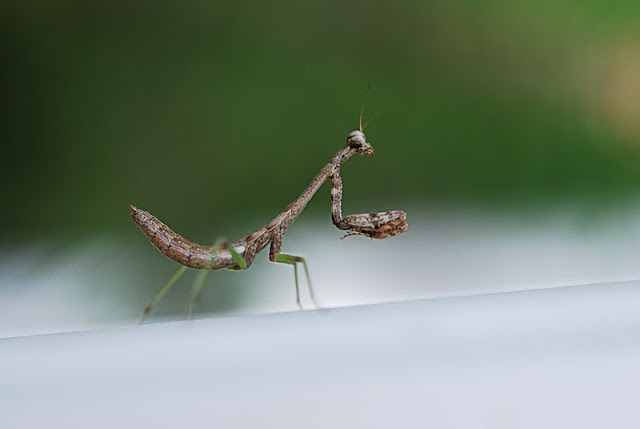 Your Praying Mantis is so different from our VA ones ... or do they take on the camo of whatever they are sitting on...a recent photo I took of one on our Passion Vine was green...I have never seen a brown one before = cool! I just ran across one of these dudes this weekend....last time I ran across on it was only about 1/2" long....love the old photo's!